Desi Smith/Staff Photo. 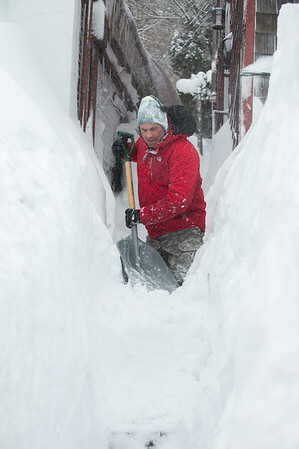 Tom Fisher digs his way out from about eight feet of snow all around him, and five more feet from the sidewalk to reach Main Street Sunday morning. February 15,2015.